StealthGenie is a cell phone monitoring software that provides the account holder with many options. The user of the cell phone will never suspect they are being monitored, because the software runs quietly in the background, and can not be detected. This makes it easy for the user to be caught in the act of suspicious behavior. The features are what make StelthGenie so popular. Here are just a few that are making monitoring a user’s activity so easy. With the StealthGenie software, you have the ability to access all incoming, and outgoing email on the user’s phone. The software even lets you view email that is sent through other email applications, like gmail. A log will supply you with the address details, content of the email, date and time the email was sent. This makes it easy to see what suspicious plans the user may be partaking in. 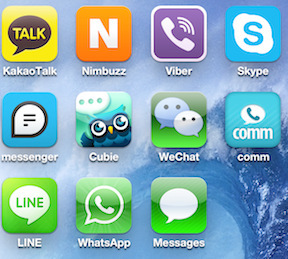 Not only can you view text messaging with the StealthGenie software, you can also view many popular instant messaging that is used on the phone. You can view incoming and outgoing conversations on Facebook, iMessage, WhatApp, Skype, Gtalk, BBM, Pin Messaging, and Viber. You will also have the ability to view any photos, video, or auto files that are sent through the instant messaging system. A detailed log with the date and time, as well as the conversation will be uploaded to the control panel. The StealthGenie software will give you access to the user’s internet history as well as bookmarked sites. The software will supply you with a detailed log that includes the URL of the websites the user visited, how many times it was visited, as well as the date and time. All of this can be viewed on the control panel. You will be able to view the user’s contacts, calendar, scheduled events, and task logs. All contact information that is saved on the phone will be accessible, such as address, phone numbers, email IDS, and birthdays. The StealthGenie cell phone tracker really allows the account holder to understand the user’s daily schedule, and what their intentions are. You can view any notes, scheduled events, or task the user enters. This will help provide answers for questionable behavior. This feature gives you the ability to become a true spy. It allows you to hear and record the phones surroundings live. All you have to do is send an SMS command. You can even log on to the StealthGenie’s control panel, and record remotely. Logs of the recording will be saved on the control panel. 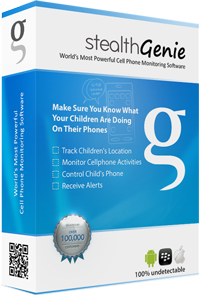 StealthGenie provides the ultimate protection for children. It allows parents to know what is happening in their lives, even when they are not around. There are so many negative things in todays world, that could provide life long consequences. Thanks to StealthGenie, parenting has gotten a bit easier. Employers can now know where their employees are, and what they are doing. If there is a suspicion that workers are surfing the web or looking at inappropriate material during work hours, StealthGenie will supply the evidence to reinforce discipline.